Many inflatable boats accept standard storage boxes and bench seat storage units that fit most inflatable boats while others take custom parts made specifically for that inflatable boat brand. 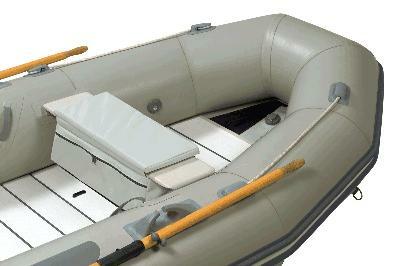 Take advantage of our universal inflatable boat storage box options.. These products offer high quality marine components. These products provide you many options for configuring your boat boat to meet your exact needs - whether it's for fishing, cruising or other needs. Securely stows gear and supplies to keep them dry and organized. Zippers are made using YKK Zippers. Fabric is coated Custom Grade 600 Denier heavy- duty polyester. This fabric is durable and water repellant, yet breathable to resist mildew. Dimensions: Beam 24", Width 10", Depth 12"